My latest for the Jamestown Terrorism Monitor, looking at a different aspect of the legal problems that the British government is having with some of the cases they are pursuing in the courts. This looks in particular at the case against Mohammed Atif Siddique who was recently released in Scotland, and went on to do a series of awkward interviews. On January 29, 2010 an appellate court in Scotland declared it was quashing a terrorism charge against 24-year old Mohammed Atif Siddique, the first person to be convicted on charges related to Islamist terrorism in Scotland. Initially convicted on charges of disorderly conduct, setting up websites to disseminate extremist material, disseminating extremist material, and possessing items related to terrorism, the appeals court concluded that the conviction on the last of these charges was unsound, resulting in a “miscarriage of justice.” Siddique has at this point already served four years which the Crown Prosecution Service considered sufficient to cover the other charges and he was released on February 9 (BBC, February 10). Reporting on the case naturally centered around the “miscarriage of justice,” though reports also pointed out that the convictions still stood on the other two terrorism-related charges and the disorderly conduct charge (Times, January 29; BBC, February 10; UK Press Association, February 9). In a series of interviews after his release, Siddique was unable to provide much explanation for the actions which led to his initial convictions, beyond that he was a “numpty” (a Scottish pejorative for a foolish person), and that he was bored and trying to find out “the other side of the story” (BBC Radio 5 Live, February 10; Scotsman, February 11). His justification for providing links to extremist material was that it was all “freely available” on the internet (he claimed to have obtained some of his material from the Israeli-based e-prism.org website run by Reuven Paz, former head of the Mossad research department) and that anyway, it was all in Arabic, a language he didn’t understand (BBC, February 10). He further dismissed statements he had made that he was planning to become a suicide bomber, by pointing out that he had also claimed to have met with Osama bin Laden – painting himself as a naïf eager to impress others (BBC, February 10). Siddique suggested he was a victim of racism and bad timing. “Had a white person downloaded this stuff, there would have been no prosecution… My trial came at a time when there was a lot of hostility – the Glasgow Airport attacks had just happened, my trial finished on the anniversary of 9/11″ (The Scotsman, February 11). The case is not, however, without precedent. Siddique was part of an online sub-culture of individuals involved in At-Tibyan publications and their related websites. Individuals involved in this network, including Aabid Khan and Younis Tsouli are currently incarcerated on terrorism charges, while a separate group, mostly from Bradford, was released under circumstances similar to Siddique’s in February 2008. In that case, the appeals judge concluded that the jury had been equally misdirected about the specific nature of the charges connected to Section 57 and that it was unclear whether the materials the suspects possessed were linked to planned terrorist acts. The men were allegedly planning to join the mujahideen in fighting NATO forces in Afghanistan; Siddique was initially stopped after he attempted to board a flight going to Pakistan, claiming he was going to visit an uncle’s farm. The key prosecution charge in all of the aforementioned cases came under Section 57; the individuals involved possessed substantial volumes of radical material they had obtained online and were using in furtherance of terrorist plots. While all (aside from Samina Malik) were initially convicted on this charge, the government’s case was undermined on appeal by nature of the wording used in court around the charge, something which highlights the difficulty in bringing a conviction based on possession of extremist material as the main charge. The point is that the individuals were not caught in possession of weaponry or other clearly bellicose accoutrements, but rather online tracts and handbooks which, when taken in conjunction with other evidence, amounted to, in the prosecution’s view, tangible evidence that a terrorist conspiracy was afoot. The defense instead painted these materials as merely evidence of youthful curiosity. In all of the cases, other factors would appear to support the accusation that something suspicious was occurring: Mohammed Atif Siddique was initially interdicted as he attempted to board a plane to Pakistan, something he may have been inspired to do after online conversations with Aabid Khan (BBC, August 18, 2008). The Bradford group gathered with the alleged intention of going abroad to fight, and Samina Malik was passing information on Heathrow security to Sohail Qureishi, a dental technician who was arrested before ever reaching Afghanistan, where he had intended to fight. But in all three cases, the wording of the legislation resulted in a successful appeal mounted by the defense against the initial conviction. Mohammed Atif Siddique is now likely to return to life as a young man in Scotland; but the implications of his release are hard to gauge. The government has faced criticism in the past over the heavy burden placed upon defendants to prove they are innocent under section 57 and has tried to soften this with later amendments to legislation. But more specifically, the problem of proving whether extremist material that is often widely available is going to be used in pursuit of a terrorist action is something that presents an ongoing problem for British authorities. In one recent case, an individual was picked up after gathering materials during the course of post-graduate research, and was later released with no charges against him. This was a public relations disaster, with the student’s professor declaring that he was no longer going to teach terrorism courses for fear that his students may be detained (Guardian, February 5). In another case, two individuals pled guilty to charges of possessing and disseminating terrorist material, though it was unclear whether they were involved in any direct plotting of attacks (Halifax Courier [UK], December 18, 2007). With the threat of terrorism and radicalization in the U.K. remaining very real, the government continues to seek ways to intercept individuals before they move too far down the road to action. It increasingly appears that conviction on the basis of possession of extremist material is no longer an available measure. 2. The complete Act can be found at: www.opsi.gov.uk/acts/acts2000/ukpga_20000011_en_1. 4. For more on the Khan/Tsouli network, please see Raffaello Pantucci “Operation Praline: The Realization of Al Suri’s Nizam, la tanzim?,” Perspectives on Terrorism, vol.2, no.12, November , 2008; and Evan Kohlmann, “Anatomy of a Modern Homegrown Terror Cell: Aabid Khan et al. (Operation Praline),” September 2008, www.nefafoundation.org/miscellaneous/nefaaabidkhan0908.pdf&nbsp; – others from this network have also been incarcerated elsewhere around the globe. 5. Regina vs. Zafar & Ors, before Supreme Court of Judicature, Court of Appeal, handed down February 13, 2008. 6. Regina vs. Samina Hussain Malik, before Court of Appeal, handed down June 17, 2008. I also have the pdf for anyone who cannot find it. Here is the first couple of paragraphs to give you a taster…. In the first month of 2010, the world was reminded of the terrorism threat in the United Kingdom. Umar Farouk Abdulmuttalab’s partial radicalization in London, the decision to finally proscribe the extremist group al-Muhajiroun and the ratcheting up of the terrorism threat level ahead of the Summit on Afghanistan all highlighted once again how the United Kingdom remains the focus of the terrorism threat to the West. The nature of this threat, however, has changed since the days before 9/11, when London was often called “Londonistan” due to the heavy presence of extremist groups in the city. 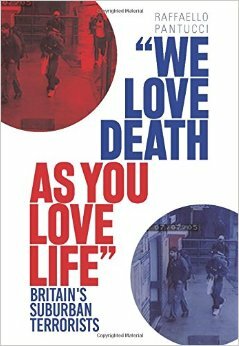 Today, radicalization and extremist activity in the United Kingdom no longer occurs at the level it once did. Nevertheless, the activity still taking place is harder to legislate against and more difficult to combat. A new post over at Free Rad!cals, this one exploring the phenomenon of terrorist wives in the UK. I am hoping that once my schedule clears up a bit to do something more substantial on this topic – as I say in the post, if anyone has any pointers for articles looking specifically at this phenomenon rather than female suicide bombers I would be very grateful…. Over at the Inner London Crown Court the case is being heard against Cossor Ali, the wife of Abdullah Ahmed Ali, one of the leaders of the UK end of the plot disrupted in August 2006, alternatively known by its police codename “Overt” or as the “liquid plot” after the main bomb ingredient (and the reason for the subsequent restrictions on liquids on airplanes). Cossor Ali stands accused of being complicit in the plot by knowing about it prior to its occurrence and failing to alert the authorities. The outcome of the case is unclear at this point, and at the moment one of the newer pieces of information to emerge is that Abdullah Ali was something of an absent and abusive husband – or at the very least domineering. Cossor Ali has claimed she felt her personality was being erased when she was absorbed into her husband’s family and that he was away for the birth of their child. The evidence for the prosecution appears to hinge around statements recorded in Cossor Ali’s diary about extremist literature she read and the fact that she appeared to support the activities her husband was undertaking. She hoped he might become a “shahada” (a “martyr”, though the defence contends this means “the highest form of spirituality”). Her fingerprints were also found on some radical material at their home. She is not the first wife in the UK to be brought up on charges of either knowing or being complicit in their husband’s activities. Mehreen Haji, wife of convicted Al Qaeda member Habib Ahmed, was cleared of arranging terrorist funding. Tahira Tabassum, wife of attempted Tel Aviv bomber Omar Khan Sharif, was cleared of knowing what her husband was plotting. Bouchra el-Hor was tried and cleared, while her husband Yassin Nassari, was convicted on charges of possessing extremist material. Mohammed Siddique Khan’s wife was picked up in a wave of arrests that followed the long investigation into the July 7, 2005 bombings, but was later released without facing any charges. On the other side of the coin, Yeshiembert Girma, the wife of Hussain Osman one of the failed July 21 bombers, was convicted of helping orchestrate Osman’s escape and of knowing about the plot prior to the event. Fellow failed bomber Yassin Omar’s 17-year old recent fiancée Fardosa Abdullahi pled guilty to charges of facilitating his escape. Beyond British shores, there is of course the story of Muriel Degauque, the Belgian convert who blew herself up in Iraq soon after her husband had attempted a similar attack. In other instances, there are stories of couples that meet while involved in radical groups (or join them together), a phenomenon that is maybe less surprising when one considers the time commitment and passion that is required when one joins such groups. The underlying question, however, is the role, if any, of wives in terrorist plots? In Saudi Arabia, wives (or future spouses) are an integral part of the de-radicalization process, supposedly acting as stabilizers to men who have strayed. While in Belgium Malika el Aroud, the wife of one of Ahmed Shah Masood’s assassins who later remarried a different plotter, is alleged to be a key figure in a radicalizing network. The point is that it would appear as though wives can play both a positive and negative role – and this is not to pry into the broader role of women in radicalizing networks more generally. A recent story in the Telegraph suggested that security services believe a team of women had been dispatched by Al Qaeda to attack the West, while the BBC highlighted the phenomenon of female recruitment into extremist groups. What remains somewhat unexplored (to my knowledge – any pointers to interesting reports greatly appreciated) is the role that women have played in terrorist plots – are they accelerators in their husbands radicalization (or possible plotters)? Or are they innocent naïf’s who either get caught up in their husband’s plotting or are firmly kept out of the loop by domineering males? My long-awaited (in my mind at least) contribution to the Studies in Conflict and Terrorism journal has at last landed. I refer to it briefly here and here, it goes into detail about the links and connections between the networks around Abu Hamza and Omar Bakri Mohammed and terrorist plots in the UK. Doubtless some information is missing, and any pointers would be hugely appreciated. Omar Bakri Mohammed (the Tottenham Ayatollah) and Abu Hamza al-Masri (the hook-handed cleric) are two of the more infamous figures to emerge from what critics called “Londonistan.” However, they should be remembered not only for their rhetoric and appearance, but also for the fact that their respective organizations, Bakri’s Al Muhajiroun, and Hamza’s Supporters of Shariah based at the Finsbury Park Mosque, have been the connective thread through most Islamist terrorist plots that have emanated from the United Kingdom. This article maps out the network of terrorist plots in the United Kingdom and abroad that appears to have emanated from the networks around these two men with a view to understanding better how the connections remained unclear for so long and how understanding of the networks evolved over time. UPDATE: I realize that I completely failed to thank James B for reviewing a first draft and pointing me in the direction of some useful info. Grazie!